In the past few weeks I’ve reviewed two potentially brilliant games ruined by their misguided emphasis on crafting. We Happy Few scuppered a superbly drawn world and a smartly told story by forcing players into a tedious collect-a-thon massively out of place within its stealthy social simulation. Meanwhile, Graveyard Keeper obliterated one of the most exciting premises I’ve seen in years by forcing players to spend so much time crafting basic items that it overwhelmed the job of keeping your damn Graveyard. Seven years have passed since Minecraft triggered the whole crafting craze, so long that the survival genre that emerged afterwards has given birth to its own sub-genre, Battle Royale. Yet many developers still appear to feel an uncontrollable urge to tick this particular box, regardless of how poorly suited their game is to a crafting system. It’s like there’s an assumption that lumping a crafting system into a game will automatically make it better or at least more appealing to the audience. Perhaps there was some truth to that several years ago. But as demonstrated by the combined failures of We Happy Few and Graveyard Keeper, this is no longer the case. Both games demonstrate that creating a good crafting system is extremely hard to do and a bad one can ruin your game, especially if you misguidedly structure the entire experience around it. Although I reviewed both games recently, I wanted to highlight a few points on how to make a crafting system that’s actually fun and interesting, and when it’s appropriate and inappropriate to include one. I’ve written before about how many “crafting” systems deceive the player with dull and repetitive feedback loops. But it’s worth reiterating in the context of We Happy Few. If a crafting system doesn’t let the player create something that the developer didn’t anticipate, then it isn’t a crafting system. The whole point of crafting is that it’s supposed to be creative. You take the resources in the environment around you and you use them to create something new. Very few crafting games do this, but we don’t notice because the system is often deployed alongside a building system such as Minecraft’s virtual-LEGO bricks, or No Man’s Sky’s snap-to base-construction. This is what powers the player’s creativity. The components you create may be pre-designed, but you can use them to build something unique to your game. What We Happy Few does (and it’s far from alone in this) is remove that construction element, leaving behind the basic mechanic of plugging resources into recipes to “craft” new items. This is NOT crafting. It’s the gaming equivalent of assembling flatpack furniture. If you follow the instructions correctly, you’ll end up with a new wardrobe. But a trip to IKEA and an afternoon of swearing doesn’t make you a craftsman. A real crafting system needs to offer the player the opportunity to create something that the designers didn’t anticipate. 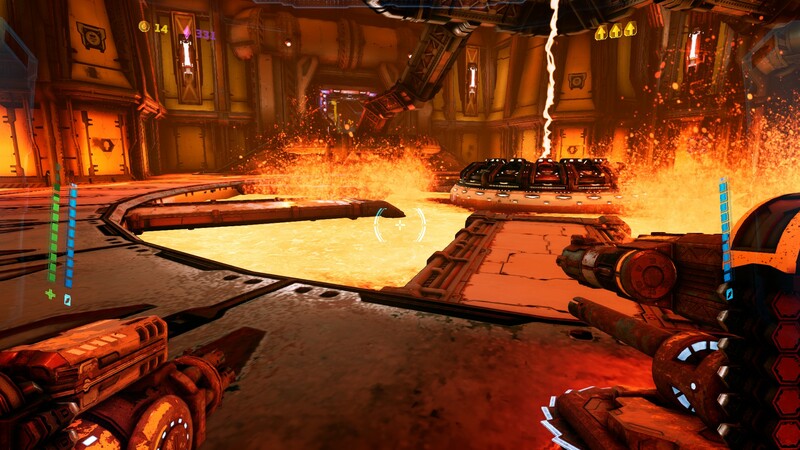 A recent example of this is Mothergunship, which genuinely lets the player create all manner of different guns from a digital construction set. 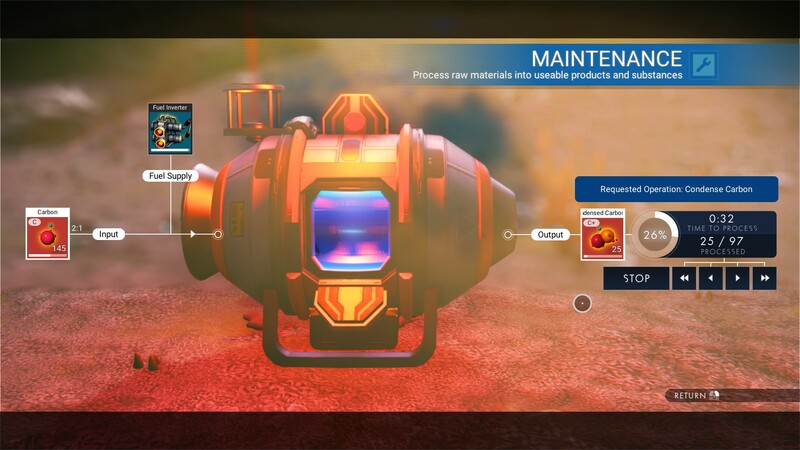 It’s not the best crafting system I’ve ever seen, as there are still lots of limitations, but at least it offers creativity within those limitations, and you can build things that go beyond pre-determined recipes. So many crafting systems get this basic wrong. If your crafting system doesn’t include physical manipulation of the object, you’ve goofed. We Happy Few at least gets this right, sort of. Most of the crafting produces a physical object, most of which feature bespoke animations when you use them. 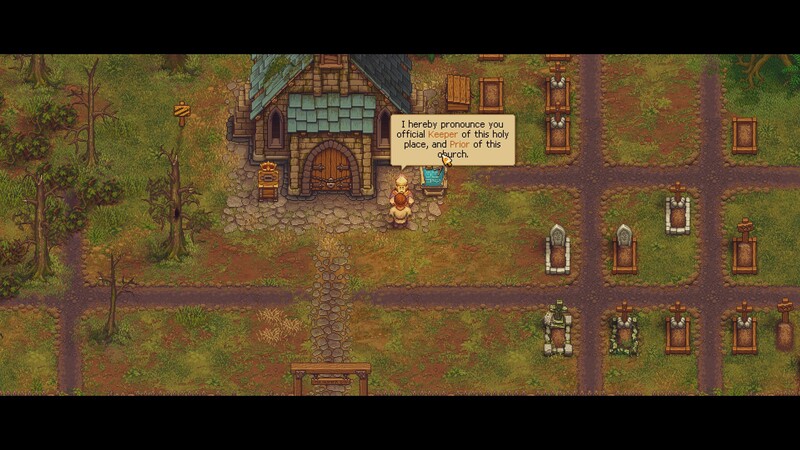 Graveyard Keeper does this reasonably too. Most of the things you craft can be placed in the world, or used to gradually transform the environment around you. To make a great crafting system, however, the act of crafting itself requires some sense of tactility or physicality that goes beyond holding down a button to “craft”. Minecraft probably remains the pinnacle of this, with its grid system that let players lay out their resources in the vague shape of the object they were creating. It’s quick and simple to use but provides enough of a sense of making something that it didn’t’ feel like you were simply filling out a recipe. In addition, there’s a logic behind Minecraft’s grid that lets you “discover” new recipes through experimentation. This is another mechanic that few if any subsequent crafting systems adopted. Instead, most games with crafting tie your hands until you’ve unlocked the requisite blueprint or recipe to artificially engender progression. Another game that does tactility surprisingly well is Prey (the new one, not the old one). Its crafting system involves two machines, one that recycles collected objects into component materials, and another that combines those materials to produce new objects. It does much of the work for you, but the process of dropping in the right materials and pushing the buttons and watching the resulting item emerge from the machine is both enjoyable and satisfying. 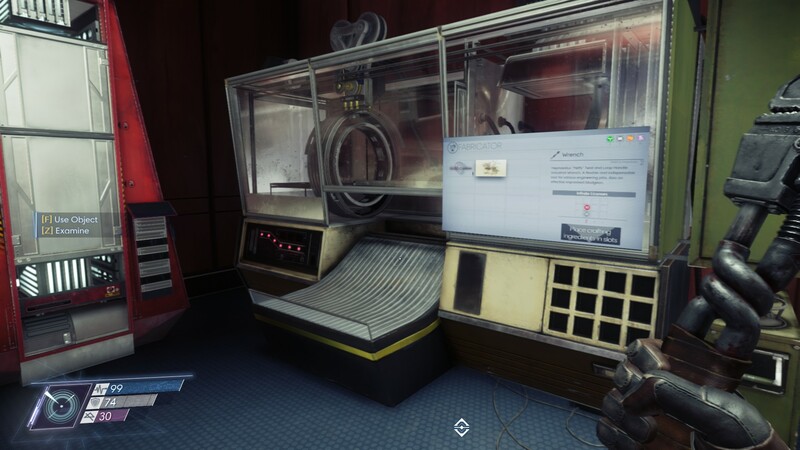 Crafting isn’t really a mechanic in Prey either, which goes to show that you can bolt on a crafting system without it being tedious and derivative. This is probably my single biggest problem with modern crafting systems, especially those which are lumped into games that aren’t really about crafting. A bad crafting system kills the joy of virtual discovery. One of my biggest problems with No Man’s Sky on launch is that it forced players to spend half their time in crafting menus rather than exploring the universe Hello Games had created (a problem it still hasn’t fully resolved, incidentally). There’s a saying that goes 'money won is twice as sweet as money earned', and I think this can be applied to how games reward the player. In a fantasy RPG, I always prefer finding a cool magical weapon over making one, because it’s such a satisfying way to end a quest or an adventure. By comparison, scouring the world for basic items to fill out a crafting recipe just doesn’t have the same allure. It turns your exciting adventure into glorified shopping, and I do enough of that in my daily life. We Happy Few is particularly terrible at this. You’re constantly hoovering up mundane items from the world, most of which you’ll never use, and it completely kills any satisfaction to be had from exploration. Everywhere is stuffed to bursting with everything, and none of it is unique or interesting. This is absolutely vital. Is your game about crafting? Or does it merely feature crafting? Most games that include a bad crafting system do so because they’re ambivalent on this point, and this includes both We Happy Few and Graveyard Keeper. We Happy Few’s crafting is by far its most elaborate mechanic. But the game isn’t actually about crafting. It’s about blending into a dystopian world to unravel a government conspiracy and bring down the system. At a glance you’d expect it to play like Thief or Dishonored, and it does include some immersive-sim like mechanics. The problem is none of them are anything like as involved as its crafting system, and yet you spend far more time sneaking and fighting than you do crafting. Graveyard Keeper has the opposite problem. You spend absolutely ages navigating its labyrinthine crafting tree, to the point where your graveyard often goes completely ignored. You’re constantly having to find new resources, construct new crafting equipment, unlock crafting technologies, and go through multiple processes to create very simple items. Consequently, the time spent keeping your graveyard is relatively minimal. It’s fine for a game to feature crafting as a side-system. Prey does this brilliantly. And it’s also fine to make a game that’s all about crafting, as games like Minecraft and Scrap Mechanic have repeatedly shown. But if you overemphasise crafting in a game that doesn’t need it, or focus on it to the detriment of your game’s actual theme, then the result is inevitably going to disappoint.